Personal injury claims based in negligence law are by far the most common type of lawsuit brought in the United States, across the board. They can be difficult to prevail upon, however, for a multitude of reasons. Sometimes the facts are not on the plaintiff’s side. Other times, a defendant may be able to assert what is known as an affirmative defense, which can insulate them from some or all liability. It is worth familiarizing yourself with the common affirmative defenses, so you and your attorney have a better idea of what you may be facing in court if you bring suit. To understand most affirmative defenses to negligence, one must understand the criteria that prove a cause of action for negligence, as defenses are intended to eliminate these criteria. In Florida, there are four pillars in any negligence case: (1) the defendant must have owed a duty of care to the plaintiff; (2) that duty must have been breached; (3) the breach must have occurred directly due to the defendant’s conduct; and (4) the plaintiff must have suffered tangible harm (as opposed to injuries lasting minutes or hours) as a direct result of defendant’s conduct. In order to undermine a plaintiff’s case for personal injury, the defendant must eliminate one or more of these benchmarks. For example, if a defendant can show that the plaintiff sustained their injuries due to another actor, rather than due to their conduct, the case will likely fail, because the defendant was not the direct cause of plaintiff’s harm. There are a handful of what are called affirmative defenses that are enshrined in law, and if one or more of them can be used effectively by the defendant, it may get them off the proverbial hook by showing a lack of liability. In terms of affirmative defenses, the common thread between them is that they all hinge upon the plaintiff’s choices. The main two that are seen, depending on the relevant fact pattern, are assumption of the risk and contributory negligence. Assumption of the risk, when used as an affirmative defense, is fairly self-explanatory; the defendant argues that they should not be liable for the plaintiff’s injuries because the plaintiff assumed the risk of possible injury by consenting to the activity – in Florida, the only assumed risks are ‘known’ risks. For example, going to a baseball game and sitting in certain seats means you assume the risk of potentially getting hit by a baseball, but not, say, the risk of a fight breaking out in the row behind you. Contributory negligence is also somewhat self-explanatory, but it is important to keep in mind that Florida has modified its system to what is referred to as a pure comparative fault system. This means that regardless of their degree of fault, the plaintiff may recover something as long as the defendant is found at least partially liable. Even if the plaintiff is deemed to be more than 50 percent at fault, they may recover under a theory of pure comparative fault – the amount of the recovery is simply reduced by the percentage of fault. 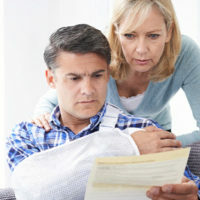 If you have been injured in an accident, you need information above all else. To ensure you get accurate information, consulting a knowledgeable attorney is critical. The zealous Orlando personal injury attorneys at the Hornsby Law Group can help you decide what is the best path forward for you and your family. Contact our offices today to schedule an appointment.